To inspire you to get the most out of your tripod, I’ve collected 10 quick tips. Some of these belong to Scott Bourne while others are mine. I hope they help you make better photos. Make transitions easy. Invest in a system (such as an Arca-Swiss style plate) that makes it simple to get the camera on and off the tripod. This will speed up your transitions between both shooting styles. Check yourself consistently. If you use a tripod, get in the habit of tightening and checking all the tripod and head knobs in exactly the same order every time you set up and break down your tripod. Extend the bottom sections first. If your tripod offers multiple sections, work your way from the bottom up. This makes it easier to adjust the height when you’re working. Match your weight. Don’t put a camera lens combo on a tripod that can’t handle it. Otherwise you’re just asking for trouble. Practice… practice… practice. Practice setting it up and mounting a camera to your tripod (especially during times when you haven’t been shooting for a while). Avoid extending the center column. This just makes the tripod unstable. Scott goes as far as cutting them off. Save your money up. A good tripod lasts a long time… better to buy one good one than five cheap ones. Also consider buying the lightest one you can afford. Convert for video. 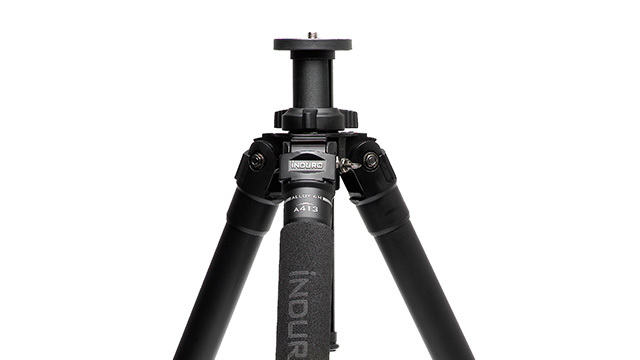 The purchase of a fluid head can make it easy to adapt your photo tripod into a video tripod. Keep it dry. It’s very tempting to shoot in the elements (and sometimes it just can’t be avoided). Make sure to clean your tripod as well as dry it to ensure the longest lifespan. If you get it wet with salt water, be extra thorough when cleaning. Use it. Above all, if you own a tripod, carry it everywhere you go with your camera. No matter how stable, how solid, or how perfect your tripod, it can’t help you if you don’t bring it along. 3 – I always recommend to extend the top sections first. Yes, a little less convenient (and I don’t follow it 100% myself for that reason), but the top sections are bigger, and therefore provide more stability. That is, if you know you are going to extend them all, go ahead and do bottom to top. However, if you might not go full height (and I rarely do), then go top-down for maximum stability. This actually does make sense. I assume it is because the tube the make up the telescope of the legs are thicker and therefore more sturdy? Quiet a simple thought, but one that many may have not thought about.